For some, the desire to engage in civic leadership is learned, while in others, it is downright innate. Tony is running for city council District 10, and he thrives in roles where he is in the community, listening and connecting. For the last 18 years, he has been involved in countless committees and served on multiple boards, from areas as widespread as the Cultural Affairs Commission to the Governor’s Council on Physical Fitness. He previously worked for the Cherry Creek Arts Festival for 18 years and currently serves on the Commission on Aging and the Parks and Rec Advisory Board. With a sunny disposition and a vision of preserving neighborhood character, Smith is setting forth a plan to transform Denver into a model city of civic engagement. 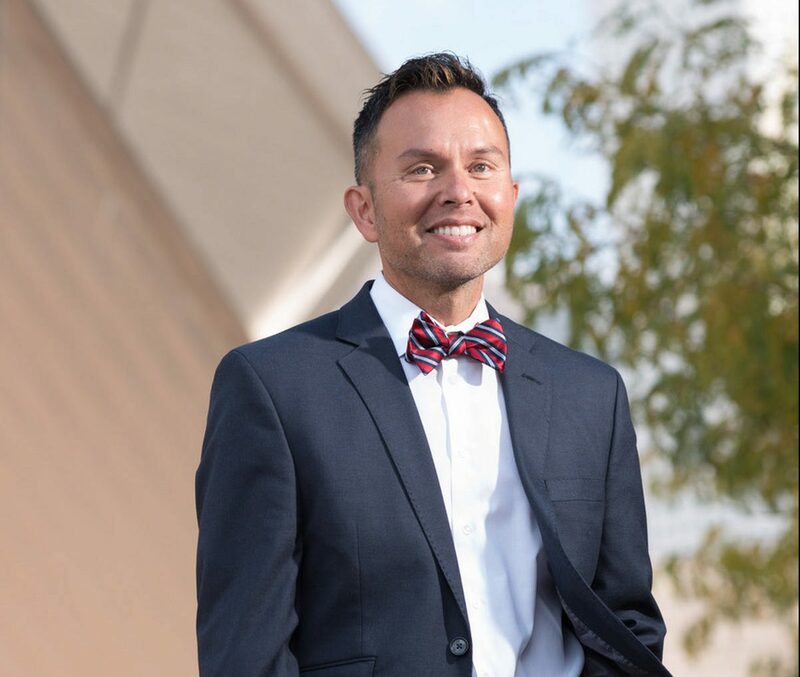 His energy and passion for seeing the needs of the community and his ability to connect people with the proper resources has Smith confident that he’s the correct choice for District 10. What made you decide to run for city council? Without question, it started when so many other minorities and women were awakened, in November 2016. Prior to that, I served on various city commissions for the last 18 years, as well as the Cherry Creek Arts Festival, which was my full time job. I’ve always been a great community organizer, but then November 2016 happened, and a lot of us woke up, and I immediately realized that there are many people that we need to listen to. For me, that also represents not just having a connection to, but feeling represented in local government, and that’s where it really starts. That is what really pushed me to consider running for office; it will always be about serving our community, bringing people together, and getting things done. What issues do you see that are important to tackle? My top three issues are affordable housing, neighborhoods, and well-being. Affordable housing is number one; we’ve got to build more houses. We have a housing deficit of about 150,000 needed homes in Denver, but we also have 20,000 vacant apartments in town because people can’t afford them. Then, it’s neighbors first. What that means to me is taking care of everyone that is in our district first. The full diversity from, of course, an ethnicity point of view, but also from an age point of view, an economic point of view, and then, for me in particular, it’s about all of our LGBTQ community members. It’s also self-care; I’m a yogi, and I want to have fitness festivals that have elements of our own existing programs, like Parks and Rec. They’re putting on all these amazing programs, but a lot of people don’t know about it. One of those is My Denver Card, which is free to people under 18 and gives free access to Rec Centers. It’s exactly what Michelle Obama’sLet’s Move campaign was about. There are a lot of dots that we can connect. How do you hope to help marginalized people, including women, people of color, and LGBTQ individuals, if you’re elected? By being someone that people can talk to, someone that is willing to listen and respond. I’ll always be constructive; I’m known to be a very positive person. It’s neither red nor blue; it’s friendship. I also know, as someone inside the community, there’s a dramatic difference between all the L’s, the G’s, the B’s, the T’s, and the Q’s. Denver has never had a gay man serve on city council, and being a member of the LGBTQ community, that makes me instantly accessible. Also, I’m half Filipino, and we’ve never had an Asian on council. We all need to feel represented at the local level; every one of us needs to see ourselves in some form or fashion in local government representing us. I’m not running as a gay man as part of my platform; it’s just a fact. But, it’s about that representation piece; that’s so, so important to me. What are some of the things you will make happen if you get elected? With regards to my platform being connecting, engaging, and serving, it’s about being innovative and putting out the amazing programs that are out there. I feel like a Filipino trait is bringing people together; it all started with my mother throwing Filipino disco parties, and she taught me to not just bring people together but to celebrate diversity. Another Filipino trait is remembering when people need something, and there’s so many opportunities that I’ve seen for that in the city of Denver, serving on all these committees. There are a lot of dots that we can connect. Neighbors are a part of my platform and taking care of neighbors in the neighborhood. With regards to our homeless population, I am absolutely against Initiative 300. That is not the correct solution for our homeless; there are so many nonprofit organizations that are also against it. How has the campaign journey been for you? Oh my God; capital, bold OMG! I have felt so grateful to be running for office. Wow, it gives me chills. It has been 80 percent exhilarating and life changing and maybe 17 percent ‘What did I get myself into?’ because your life is on display. But, so many times along the journey, the universe has had people come up to me and just simply say, ‘Thank you for running for office; that must take courage. Thank you for wanting to represent us in government.’ When I hear those people express gratitude, it really makes me want to continue on my journey. There are a record-breaking 60 people running for 13 city council positions, and every chance I get with the other candidates, I say, ‘We already won.’ We are becoming better residents of our own districts, because we’re learning about all the different areas in our community; we’re learning what is important to them and how we can advocate for them at the city council level. I could not do this, without question, without the support of my husband. He has been the absolute best cheerleader that one could ever ask for. What do you think are some of the biggest issues facing queer and marginalized folks today, and how can local government help? Certainly, part of my platform is to be proactive and not reactive. Definitely something that I can help do from a city council point of view is identify some gaps and bring organizations together instead of doing double work. There are so many great organizations in the city that can be connected, but that will take someone with energy, passion, and an ear to the ground for those kinds of values. What do you want to see your district and the city look like in five to 10 years? I want people to feel connected, that they’ve got a city that is working their hardest to serve them. I believe cities exist to enable us to live our very best lives; it is not working against us; it really is working for us. I want people to know, more than ever, that they are living in the best city in the United States. Maybe in 20 years, I can imagine a city with free transportation. I love that BRT (Bus Rapid Transit) is going to hit Colfax, and I love the evolving transportation infrastructure.